Mega Sale! 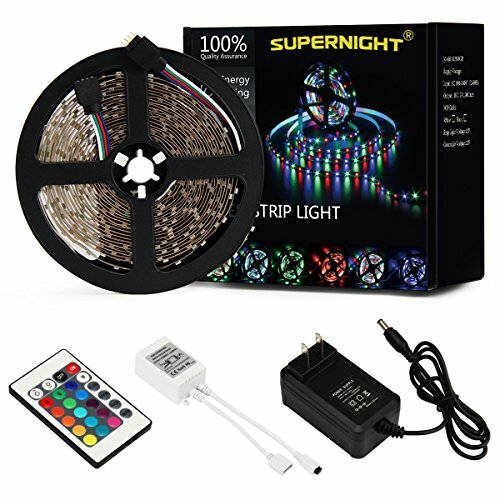 Save 27% on the SUPERNIGHT 5M/16.4 Ft SMD 3528 RGB 300 LED Color Changing Kit with Flexible Strip Light+24 Key IR Remote Control+ Power Supply by SUPERNIGHT at EOS Lighting LLC. MPN: COMINHKG050140. Hurry! Limited time offer. Offer valid only while supplies last. Width: 0.8cm, Only Lit Red/Green/Blue,NO White lighting. Low carbon, no radiation, no flicker, and no pollution to human and environment. Safe and stable.